Use these Game Genie(tm) codes to show those otherworldly beings what alien-busting is all about! Stop them from taking over Earth in this sci-fi fighter, with its good special-weapon and attack graphics. With Code 7, you can continue as many times as you want, and that should be a big help in getting to the Final Battle. 1 To use this trick, you must have enough energy to do your extra move, and you must be the robot, Scooter. If you die while using Scooter, use his special attack and you won't die. You will have do build your live back up, but it does avoid losing one life. 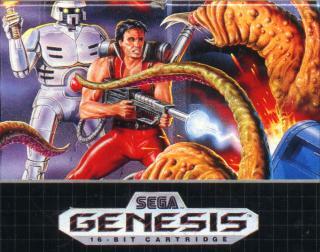 side-scrolling blastathon ported from the arcade game. 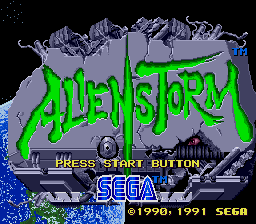 This is a fun game, with high production values that are typical of the in-house development team at Sega. The gameplay may not be as tight as that in Streets of Rage, or the challenge quite as high as in Golden Axe, but for a quick arcade-style fix this one is hard to beat. I especially enjoyed the sidescrolling shooter-style levels. 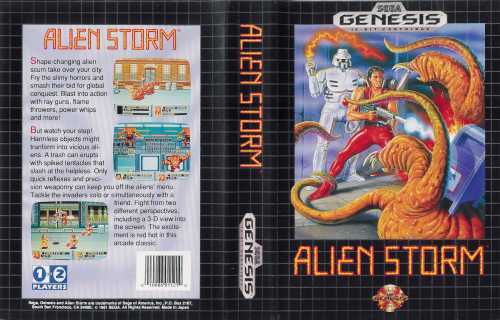 This game was a little disapoitment for me, I hoped it would be a kind of sequel (gameplay wise) to golden axe but it didin't match the perfection of it. Game was fun tough, but once you finish it , you won't come back. You'r all mad, it's a classic! ! ! 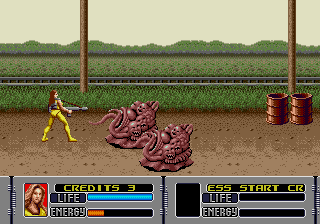 the problem is you are trying to compare it to SOR and golden axe. thats like complaining that your TV doesn't taste very nice and you dont get great reception on your socks. Sit down, play it multiplayer a few times, forget SOR and just enjoy.